Michael Wayne Atha (born December 30, 1979), better known as Yelawolf, is an American rapper, singer, songwriter and producer from Gadsden, Alabama. Yelawolf released his first independent album Creek Water in 2005. Between 2005 to 2010 he released one extended play (EP) and four mixtapes. It was not until 2010's Trunk Muzik EP  that Yelawolf started to gain mainstream attention. The same year would see Yelawolf sign a record deal with Interscope Records. His first release on a major label would be a somewhat reworked Trunk Muzik, titled Trunk Muzik 0-60  which shared six track's from Trunk Muzik. In January 2011, Yelawolf signed a recording deal with Eminem's record label, Shady Records,  and released his second studio album, Radioactive on November 21, 2011. The album debuted at number 27 on the Billboard 200. Yelawolf released a sequel to his breakthrough mixtape Trunk Muzik, titled Trunk Muzik Returns on March 14, 2013. His third album, Love Story, was released on April 21, 2015. His fourth album, Trial by Fire, was released on October 27, 2017. His fifth album, and final under Shady Records, Trunk Muzik III , was released on March 29, 2019. The Cherokee are one of the indigenous people of the Southeastern Woodlands of the United States. Prior to the 18th century, they were concentrated in what is now southwestern North Carolina, southeastern Tennessee, and the tips of western South Carolina and northeastern Georgia. White Americans are Americans who are descendants from any of the white racial groups of Europe, the Middle East and North Africa or in census statistics, those who self-report as white based on having majority-white ancestry. White Americans constitute the historical and current majority of the people living in the United States, with 72% of the population in the 2010 United States Census. Non-Hispanic whites totaled about 197,285,202 or 60.7% of the U.S. population. 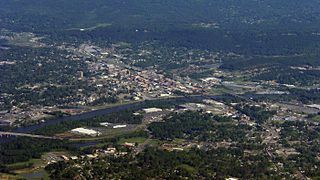 European Americans are the largest ethnic group of White Americans and constitute the historical population of the United States since the nation's founding. In 2005, Yelawolf appeared on the UPN Network reality series The Road to Stardom with Missy Elliott . After his elimination from the show, he released his independent debut album Creekwater in 2005, later the same year he released his debut mixtape Pissin' in a Barrel of Beez. Two years later, Yelawolf signed to Columbia Records and released the single "Kickin'" from the album, Fearin' and Loathin' in Smalltown, U.S.A.. The album was never released, and Yelawolf was dropped from the label later that year. Yelawolf released two mixtapes following his release from Columbia, titled Ball of Flames: The Ballad of Slick Rick E. Bobby and Stereo: A Hip Hop Tribute to Classic Rock, both of which went mainly unnoticed, although Stereo is often mentioned by fans as some of his best work. In 2009, he signed with Ghet-O-Vision Entertainment and released his debut extended play Arena Rap . The Road to Stardom With Missy Elliott was a competitive reality television show that aired on the UPN Network in 2005. The main judge and host was hip-hop artist Missy Elliott. Other judges were singer-producer Teena Marie, producer Dallas Austin, and manager Mona Scott. Arena Rap is the first extended play by American rapper Yelawolf. It was released on December 28, 2008 under Ghet-O-Vision Entertainment and management group Redd Klay Entertainment. In 2009, he began to work with Ghet-O-Vision producer, WLPWR, on his 2009 breakthrough mixtape titled Trunk Muzik . Released in January 2010, the mixtape created an enormous online following for Yelawolf. Later that year, Yelawolf signed a major record deal with Interscope Records,  and began to work on a re-release of the project, titled Trunk Muzik 0-60. It was released on November 22, 2010, under Ghet-O-Vision Entertainment and Interscope Records, which became his most acclaimed work at that time. In 2010 and 2011, he raised his profile by making guest appearances on albums by rappers Big Boi, Paul Wall, Tech N9ne, Travis Barker, Gucci Mane, and Big K.R.I.T., among others. William Washington, known professionally as WLPWR is a musician and music producer who is the founder of SupaHotBeats a record label and production studio based out of Atlanta founded by Washington in 2002. Trunk Muzik is a mixtape by southern rapper Yelawolf, released on January 1, 2010. It features ten all new songs and two remixes. It is hosted by DJ Burn One and contains production from WLPWR, Maylay & KP and Kane Beatz and features guest appearances from Bun B, Rittz, Diamond, Raekwon and Juelz Santana. In March 2011, after speculation of a joint record deal with Eminem, Yelawolf was featured on the cover of XXL 's March 2011 issue, with Eminem and fellow new Shady Records signees Slaughterhouse, with the issue confirming his record deal with Shady Records. Yelawolf was also featured among the XXL 's Top 11 Freshmen of 2011, releasing several songs on the magazine's yearly Freshman mixtape, along with Kendrick Lamar, Cyhi Da Prynce and Big K.R.I.T., among others. On April 14, 2011, Yelawolf announced the title of his debut Shady release "Radioactive" with a release date that aimed for September. On May 18, Yelawolf announced his album's first single, titled "Gangsta of Love", produced by Jim Jonsin and featuring Cyhi Da Prynce. The song was leaked in early July, although it only featured unfinished vocals by Cyhi da Prynce at the end of the song. The song was later scrapped and no longer appeared on the album. Yelawolf partnered up with the video game Driver: San Francisco to release a music video for the song "No Hands" which was supposed to be included in Radioactive, but was later scrapped. On August 8, 2011, Yelawolf released the first official single from his album, titled "Hard White (Up in the Club)", which features guest vocals from a southern hip hop producer Lil Jon. The album's release date was moved down to October 2011, and later had a final release date to November 21, 2011. On October 30, 2011, Yelawolf released the second single off Radioactive , titled "Let's Roll", featuring guest vocals from Kid Rock. Anticipation for the album increased when hip hop magazine The Source gave the album a rare 4.5 out of 5 mics, meaning the album was "near classic". Radioactive , was released November 21, 2011 under Interscope Records and Shady Records, debuting the following week at #13 on Billboard 200. 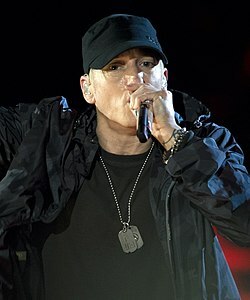 The album featured production from Eminem (who is also the executive producer for the album), Jim Jonsin, J.U.S.T.I.C.E. League, Diplo, The Audibles, Pooh Bear and WLPWR of SupaHotBeats, and features from Eminem, Kid Rock, Lil Jon, Fefe Dobson, Mystikal, Shawty Fatt, Rittz, Killer Mike, and Gangsta Boo among others. On August 25, 2015, Yelawolf was mired in controversy when he decided to defend the confederate flag  before reconsidering his stance and entirely rejecting the flag with a non-album track titled "To Whom It May Concern" on October 30, 2015. The single addressed his upbringings and his disgust with the Charleston church shooting, a racially motivated mass shooting. After the controversy had settled, on September 22, 2015, Yealwolf announced his fourth studio album, Trial by Fire. He alluded to the record being much darker than its predecessor, and also being produced entirely by himself and constant collaborators DJ Klever and Bones Owens, which were also members of his tour band. Towards the end of 2016, Yelawolf was seen working with South Florida-based producer, and constant collaborator Jim Jonsin, although what they worked on remained a secret. October 10, 2016, the surprise free EP, Hotel was released. Hotel is an acronym for "House Of The Endless Life"  with the production being entirely handled by Jonsin and Yelawolf. The first two singles from Trial by Fire, "Daylight" and "Shadows" featuring country singer Joshua Headley were released in late 2016. In order to support Trial By Fire, a tour was announced on July 18, 2016 and was due to run from October 13 to December 4. However, during the Oregon show, Yelawolf was seen destroying equipment belonging to Bones Owens, which subsequently caused Owens to fallout with Yelawolf and quit the band indefinitely (DJ Klever also left the band but would reunite with Yelawolf the following year). The incident was followed by an altercation with a fan at the Sacramento show resulting in Yelawolf leaving the stage and cancelling the remaining seven dates. After the cancellation of the tour, Yelawolf seemed to suffer an apparent mental breakdown and was admitted to a mental ward. After his release towards the end of December, Yelawolf announced via social media that he was dropping the "Yelawolf" stage name in favor of his birth name, the removed Instagram post announced "I decided to sober up and rebrand my new music as Michael Wayne Atha MWA". This came as a result of the death of long-time friend and collaborator Shawty Fatt and his break-up with fiance Fefe Dobson. During this time, Yelawolf also drastically changed his country style to a contemporary hip hop image, before retreating from public life for over six months. During this period, the status of the unreleased Trial by Fire album and Yelawolf's involvement with Shady Records were left undetermined. On June 6, 2018, Yelawolf announced a return to the music scene with the release of the third single for Trial by Fire titled "Row Your Boat",  with his "Yelawolf" moniker once again in use. Yelawolf launched another tour to support the album titled the "51/50" tour,  with the name alluding to the term police or doctors use towards patients that are an endangerment to themselves and others, referencing his mental breakdown from the previous year. During the tour, Yelawolf would re-visit all the venues that were cancelled during his previous tour, free of charge to those who had bought a ticket for the former. After multiple delays, Trial by Fire was finally released on October 27, 2017. During this time, he also reunited with long-time fiancé Fefe Dobson. Some of Yelawolf's other musical influences include Johnny Cash, Black Sabbath, Lynyrd Skynyrd, Kraftwerk, The Doors, Fleetwood Mac, Metallica, Portishead, and N.W.A, among others. Yelawolf has also shown appreciation for Detroit-based recording artist Kid Rock and his mixing of country music, rock music, and hip hop,  as well as long-time collaborator and mentor Eminem. Daniel Alan Maman, professionally known as The Alchemist, is an American record producer, disc jockey (DJ) and rapper. He began his music career in 1991 in the hip hop duo The Whooliganz under the moniker Mudfoot, along with now-actor Scott Caan. After rising to prominence in the late 1990s, as a close associate of Dilated Peoples and Mobb Deep, he went on to produce for many of hip hop's leading artists in the 2000s, and has been hailed as one of the genre's leading producers. He is currently working as a DJ with Action Bronson. He produces for many artists, most of his recent production is for a close group of frequent collaborative rappers. He focuses on producing entire albums for rappers and instrumental projects of his own. Ramone Johnson, better known by his stage name Cashis, is an American rapper who was born and raised in Chicago, but moved to Irvine, California. He was most notably featured on the Shady Records album Eminem Presents: The Re-Up with Eminem and the record label, and released The County Hound EP in 2007. The County Hound EP sold 6,700 copies in its first week and debuted on the US Billboard 200 at number 106. He's best known for appearing on Eminem's song, "You Don't Know", featuring 50 Cent and Lloyd Banks. Slaughterhouse is the only extended play by hip hop supergroup Slaughterhouse. It was released on February 8, 2011 through E1 Music. The album debuted at #132 on the Billboard charts, after having sold 5,100 copies. Radioactive is the second studio album and major label debut by American rapper Yelawolf. It was released on November 21, 2011 through Shady Records and Interscope Records. Welcome to: Our House is the second and final studio album by hip hop supergroup Slaughterhouse, consisting of Crooked I, Joe Budden, Joell Ortiz and Royce da 5'9". The album was released on August 28, 2012 via Shady Records and Interscope Records. This would also be their only major label album before disbanding on April 26, 2018. Trunk Muzik Returns is the sixth official mixtape by American rapper Yelawolf. The mixtape was released as a free digital download on March 14, 2013 on his Slumerican website and other mixtape hosting websites. It features production solely by WLPWR of SupaHotBeats, and guest appearances by Paul Wall, A$AP Rocky, Big Henry, Raekwon and Killer Mike. Jonathan McCollum, better known by his stage name Rittz, is an American rapper. He was previously signed to Tech N9ne's Strange Music label. His debut album The Life and Times of Jonny Valiant was released on April 30, 2013. "Box Chevy V" is a song by American hip hop recording artist Yelawolf, featured on his 2015 album Love Story. Written by Yelawolf, producer WLPWR, guitarist Mike Hartnett and mixing engineer Matthew Hayes, it is the fifth entry in Yelawolf's "Box Chevy" song series. The song was released as the first single from the album on January 27, 2014. "Till It's Gone" is a song by American hip hop recording artist Yelawolf, featured on his 2015 album Love Story. Written by Yelawolf, producer WLPWR, guitarist Mike Hartnett and mixing engineer Matthew Hayes, it was originally featured on some versions of the 2014 Shady Records compilation Shady XV. The song was released as the second single from both albums on September 16, 2014. Love Story is the third studio album by American rapper Yelawolf. It was released on April 21, 2015, by Interscope Records, Shady Records and Slumerican. The album was described by Yelawolf as a more passionate album than his debut album. Recording process took place primarily in Nashville, Tennessee from 2012 to 2015. The production on the album was handled by Yelawolf himself, along with Eminem, Malay and WLPWR, among others. The album was influenced by aspects of country and rock. Black Fall is a collaborative extended play by American rappers Yelawolf and DJ Paul, hosted by DJ Whoo Kid. It was released free for download on October 31, 2013 through Slumerican/Shady Records. Production was handled solely by DJ Paul. The five-track mixtape features guest appearance from Rittz the Rapper. Trial by Fire is the fourth studio album by American rapper Yelawolf. The album was released on October 27, 2017, by Slumerican, Shady Records and Interscope Records. This album was entirely produced by Yelawolf himself. Anthony Dixson, better known by his stage name, Boogie, is an American hip-hop artist from Compton, California. He is known for his ability to bring to real life experiences in his music. His debut mixtape, Thirst 48, was released on June 24, 2014, followed by his next mixtape, The Reach which was released a year later. In 2016, he released his third mixtape Thirst 48, Pt. II and signed to Shady Records/Interscope in 2017. His debut album Everythings for Sale was released on January 25, 2019. Trunk Muzik III is the fifth studio album by American rapper Yelawolf, released on March 29, 2019. It is his final album under Eminem's imprint Shady Records, and was released in conjunction with Interscope Records and Yelawolf's own label Slumerican. The album marks a return to an emphasis on the southern hip hop sound that was predominant in Yelawolf's music at the start of the decade, a contrast to the country-folk and hip hop fusions of his previous two albums. While the album is titled as the third in the Trunk Muzik series, it is technically the fourth, following his 2009 mixtape Trunk Muzik, its subsequent 2010 reissue Trunk Muzik 0-60, and 2013's Trunk Muzik Returns. ↑ "YelaWolf - Creek Water". Cduniverse.com. ↑ "Yelawolf Mixtapes @ datpiff". Datpiff.com. ↑ "YelaWolf - Trunk Muzik". Djbooth.net. 1 2 "Yelawolf Announces Deal with Interscope". Sohh.com. ↑ "YelaWolf's 'Trunk Muzik 0-60′ Tracklist Revealed". Xxlmag.com. ↑ "Eminem Signs Slaughterhouse, Yelawolf To Shady Records". Mtv.com. ↑ "Eminem Signs Cherokee Rapper Yelawolf". Indiancountrytodaymedianetwork.com. January 16, 2011. Retrieved August 25, 2013. ↑ "Exclusive: Yelawolf Speaks On His Childhood". November 21, 2010. Retrieved August 25, 2013– via YouTube. ↑ Susman, Nathan (June 27, 2013). "The Stories Behind 15 Rappers' Rap Names - Yelawolf". Complex . Archived from the original on May 25, 2015. Retrieved May 22, 2016. ↑ "Yelawolf Addresses Cherokee Heritage". Indiancountrytodaymedianetwork.com. Indian Country Today Media Network. June 7, 2012. Archived from the original on December 31, 2014. Retrieved May 22, 2016. ↑ "Hip Hop has been no 'Love Story' for Yelawolf". ↑ "Yelawolf On Meeting Eminem". Rap Radar. July 2, 2010. Retrieved December 10, 2010. ↑ "Yelawolf Shares Meeting with Eminem". Rap-Up.com. Retrieved December 12, 2010. ↑ "Eminem Covers XXL; Signs Slaughterhouse & Yelawolf". Rap Radar. January 12, 2011. Retrieved February 12, 2011. ↑ "Download: XXL's Freshman 2011 Mixtape - BPM". Beats Per Minute. Retrieved March 9, 2015. ↑ "Rap-Up TV: Yelawolf Shares Details on Shady Records Debut". Rap-Up.com. April 14, 2011. Retrieved March 30, 2012. ↑ "Drake's Take Care Drops to No. 4, Yelawolf's Radioactive Debuts at No. 27". ↑ Beware (January 25, 2012). "New Music: Yelawolf Feat. Ed Sheeran – "You Don't Know (For F*ck Sake)" | The Smoking Section". Smokingsection.uproxx.com. Retrieved March 30, 2012. ↑ "Yelawolf's fifth's mixtape review "Heart of Dixie"". Xxlmag.com. ↑ "Travis Barker and Yelawolf". Rolling Stone . ↑ Horowitz, Steven J. "Yelawolf Reveals Sophomore Album Title, Explains Johnny Cash Tattoo | Get The Latest Hip Hop News, Rap News & Hip Hop Album Sales". HipHop DX. Retrieved March 30, 2012. ↑ "Yelawolf Reveals Name of Sophomore LP | XXL". Xxlmag.com. March 29, 2012. Retrieved September 16, 2012. ↑ "Yelawolf interview on his upcoming projects Dec. 2012". ↑ HipHopDX (March 14, 2013). "Yelawolf "Trunk Muzik Returns" Mixtape Download & Stream". HipHopDX. Retrieved March 9, 2015. ↑ Andrew Martin. "Listen: Yelawolf "Way Out"". Complex. Retrieved March 9, 2015. ↑ "Hip-Hop News, Rap Music - XXL". XXL Mag. ↑ "Yelawolf f. A$AP Rocky & Big Henry - Gangster | New Hip Hop Music & All The New Rap Songs 2011". HipHop DX. March 12, 2013. Retrieved August 25, 2013. ↑ Horowitz, Steven J. (March 14, 2013). "Yelawolf "Trunk Muzik Returns" Mixtape Download & Stream | Get The Latest Hip Hop News, Rap News & Hip Hop Album Sales". HipHop DX. Retrieved August 25, 2013. ↑ "Yelawolf announces "Black Fall" mixtape". Twitter.com. October 18, 2013. Retrieved October 24, 2013. ↑ "Audio – Yelawolf on Sway in the Morning". Shady Records. Retrieved March 9, 2015. ↑ "Yelawolf - Money (Freestyle)". HotNewHipHop. Retrieved February 12, 2019. ↑ "Yelawolf - Voodoo Child (Freestyle)". HotNewHipHop. Retrieved February 12, 2019. ↑ In-Depth. "The Complete Guide to Eminem's 'Shady XV'". Fuse. Retrieved February 12, 2019. ↑ "Yelawolf Love Story Chart History". Billboard. Retrieved February 12, 2019. ↑ "First Week Sales For Yelawolf's "Love Story"". HotNewHipHop. Retrieved February 12, 2019. 1 2 "Gold & Platinum". RIAA. Retrieved February 12, 2019. ↑ "Yelawolf Defends The Confederate Flag". Stereogum.com. August 25, 2015. Retrieved February 21, 2019. ↑ YelaWolfMusic (October 30, 2015). "YelaWolf "To Whom It May Concern"" . Retrieved February 21, 2019– via YouTube. ↑ "Yelawolf Announces "Trial By Fire" Album". Thisisihiphopmusic.com. September 23, 2015. Retrieved February 12, 2019. ↑ "Yelawolf - Hotel - Download & Listen [New Mixtape]". Hotnewhiphop.com. Retrieved November 29, 2016. ↑ Persaud, Navi (October 11, 2016). "EP Review: Yelawolf's 'Hotel' EP Is A Glimpse Into His Past, Present and Future". Empty Lighthouse Magazine. Retrieved February 21, 2019. ↑ "Yelawolf Is Surrounded By Whiskey And Steel Guitar In 'Daylight' Video". Uproxx. September 23, 2016. Retrieved February 12, 2019. ↑ Freeman, Jon; Freeman, Jon (October 28, 2016). "Watch Yelawolf and Joshua Hedley's Haunting 'Shadows' Video". Rolling Stone. Retrieved February 12, 2019. ↑ "Yelawolf Trial By Fire Tour: Tickets On Sale". Shady Records. Retrieved February 21, 2019. ↑ http://hiphopdx.com, HipHopDX- (November 28, 2016). "Yelawolf Cancels Tour Following Fight With Fan & Stage Meltdowns". HipHopDX. Retrieved February 21, 2019. ↑ "Yelawolf Changes Name to MWA, Opens Up About Psych Ward Stay and Sobriety". Exclaim.ca. Retrieved February 21, 2019. ↑ India, Lindsey. "Yelawolf Gives Preview of New Song and Video for 'Row Your Boat' - XXL". XXL Mag. Retrieved February 12, 2019. ↑ "Yelawolf gears up for his 51/50 Tour". AXS. Retrieved February 12, 2019. ↑ Berry, Peter A. "Yelawolf Releases 'Trial by Fire' Album - XXL". XXL Mag. Retrieved February 12, 2019. ↑ http://hiphopdx.com, HipHopDX- (March 4, 2018). "WLPWR Details His Work On Yelawolf's "Trunk Muzik 3" & Big K.R.I.T. 's Double LP". HipHopDX. Retrieved February 21, 2019. ↑ "Yelawolf Announces 'Trunk Muzik III' Tour 2018 Dates - Tickets on Sale". Tickets at Ticket Hub. June 8, 2018. Retrieved February 12, 2019. ↑ "M.W.A YELAWOLF GHETTOCOWBOY on Instagram: "Just out here flexin that LOWFASHION son !! .. CatfishBilly prt2 will be the first to drop off TM3 ... don't it just drive you nuts that I…"". Instagram. Retrieved February 21, 2019. ↑ Gelenidze, Remy (August 15, 2018). "YelaWolf announces first single off "Trunk Muzik 3"". Southpawer.com. Retrieved February 21, 2019. ↑ Mojica, Nick. "Yelawolf's 'Trunk Muzik 3' Will Be Last Album With Shady Records - XXL". XXL Mag. Retrieved February 12, 2019. ↑ "Decoding Machine Gun Kelly's Scathing Eminem Diss Track 'Rap Devil'". Billboard. Retrieved February 12, 2019. ↑ Gelenidze, Remy (January 15, 2019). "Yelawolf to shoot "Box Chevy 6" video tomorrow, promises great car show". Southpawer. Retrieved February 12, 2019. ↑ Gelenidze, Remy (March 17, 2018). "BREAKING: YelaWolf to drop "Ghetto Cowboy" shortly after release of "Trunk Muzik 3"". Southpawer. Retrieved February 12, 2019. ↑ Stone, Rolling; Stone, Rolling (June 16, 2012). "Yelawolf Talks New Projects at Bonnaroo". Rolling Stone. Retrieved February 12, 2019. ↑ Baltin, Steve. "Yelawolf Is Taking His Music Stardom Into The Business World". Forbes. Retrieved February 12, 2019. ↑ "Yelawolf's 25 Favorite Albums". Complex. Retrieved February 12, 2019. ↑ Lacy, Eric (November 19, 2014). "Yelawolf on Shady XV contribution, Eminem's loyalty: 'It's an honor ... There's nobody like him'". MLive . Retrieved October 15, 2017. ↑ "Slumerican" . Retrieved February 12, 2019. ↑ "Slumerican Made | Slumerican" . Retrieved February 12, 2019. ↑ "Rappers Boo'd Up on Instagram". BET.com. February 14, 2014. Retrieved March 9, 2015. ↑ "Yelawolf Says He Couldn't Live With Being A Bad Father". HipHopDX.com. February 25, 2015. Retrieved May 16, 2015.